A NERVOUS flyer caused alarm on a plane bound for Dublin when he drunkenly tried to get the exit door open in mid-air, after mistaking it for the toilet. Tomasz Mucha (26) had never been on a plane before and drank vodka and beer to steady his nerves before attempting to open the back door of the Ryanair aircraft. Dublin District Court heard he did not manage to get the door open due to the air pressure. Judge James Faughnan fined him €200 after the accused said he realised how serious the situation could have been. Mucha, of no fixed address, pleaded guilty to being intoxicated on an aircraft and using threatening, abusive or insulting behaviour. 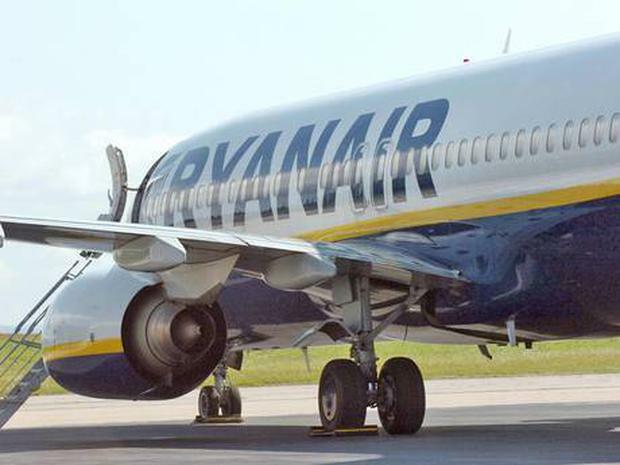 The offences under the Air Navigation and Transport Act happened on the Ryanair flight from Krakow to Dublin on July 11. Garda Shaun Caffrey told the court he was called to Dublin Airport after the plane landed. He arrested the accused after being told that Mucha had been drunk on board the craft and tried to open the rear door. The court heard the accused had been drinking his own beer during the flight and got up and attempted to open the door at around 7.45pm. He managed to get the handle up but could not get it open because of the air pressure. He was immediately returned to his seat by staff and no further action was needed. The accused said through an interpreter he had consumed some alcohol before the flight because it was the first time he had ever been on a plane. He needed to go to the bathroom and mistook the aircraft exit door for the bathroom door. Garda Caffrey said the accused had not been aggressive. "Do you realise how serious it could have been?" Judge Faughnan asked. "Yes," the defendant replied. The judge fined him €200, payable forthwith after hearing he was due to return to Poland.